Excellent alternatives to traditional Sash Windows, Box Sash Windows combine traditional aesthetics with energy efficient technology. Box Sash windows or Sliding Sash Windows as they are also known, are popular amongst homeowners due to their money saving capabilities and high security benefits. Their multi chambered UPVC sections provide effective thermal efficiency, making them particularly cost effective. Our uPVC sliding sash windows are fitted with the highest quality, patented compact locking system. Ensuring the safety of yourself and your family. Also popular for their energy saving practicalities, their UPVC qualities provide homeowners with quality insulation. Allowing you to see a long term improvement on your energy bills, they prevent heat from escaping your home – making them far more energy efficient than their wooden counterparts. For customers with a particularly wide window, take advantage of our flag window solution. Devised to link several of our uPVC box sash windows, creating a complete unique feature for your home. We also offer bespoke arch topped sliding sash windows, and an attractive selection of bay options. 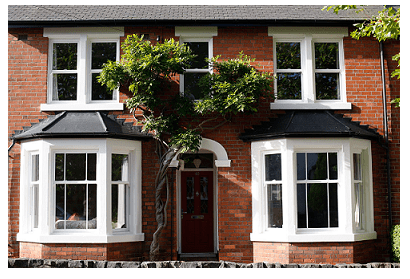 Why Choose Our Sliding Sash Windows? Our windows come with high security systems, featuring a central catch with additional corner sash locking. Available with aluminium reinforcement and 24mm low-line glazing bead for added security. Secure Style make it easy for you to obtain a free online quote. Simply visit the quote section of our website, fill in the the details of your desired products and click go. You’ll receive your unique quote instantly.